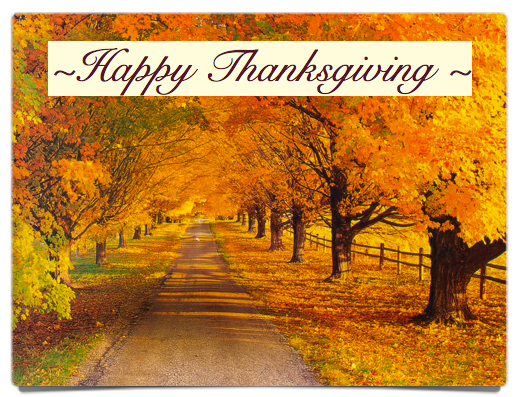 OK-SAFE, Inc. – November 28, 2013 is Thanksgiving Day in this country. The bible defines thanksgiving as gratitude. Accordingly, we have much to be grateful for – God’s blessing are numerous, as evidenced in nature, in our lives and surroundings. May we daily recognize the blessings bestowed upon us by our Heavenly Father. Our most important blessing is the saving grace of our Lord and Saviour, Jesus Christ. Through Him we have redemption, and a life and liberty that no government can take from us, try as they might. Now therefore I do recommend and assign Thursday the 26th day of November next to be devoted by the People of these States to the service of that great and glorious Being, who is the beneficent Author of all the good that was, that is, or that will be – That we may then all unite in rendering unto him our sincere and humble thanks – for his kind care and protection of the People of this country previous to their becoming a Nation – for the signal and manifold mercies, and the favorable interpositions of his providence, which we experienced in the course and conclusion of the late war -for the great degree of tranquility, union, and plenty, which we have since enjoyed – for the peaceable and rational manner in which we have been enabled to establish constitutions of government for our safety and happiness, and particularly the national One now lately instituted, for the civil and religious liberty with which we are blessed, and the means we have of acquiring and diffusing useful knowledge; and in general for all the great and various favors which he hath been pleased to confer upon us. And also that we may then unite in most humbly offering our prayers and supplications to the great Lord and Ruler of Nations and beseech him to pardon our national and other transgressions – to enable us all, whether in public or private stations, to perform our several and relative duties properly and punctually – to render our national government a blessing to all the People, by constantly being a government of wise, just, and constitutional laws, discreetly and faithfully executed and obeyed – to protect and guide all Sovereigns and Nations (especially such as have shown kindness unto us) and to bless them with good government, peace, and concord – To promote the knowledge and practice of true religion and virtue, and the increase of science among them and Us – and generally to grant unto all mankind such a degree of temporal prosperity as he alone knows to be best. 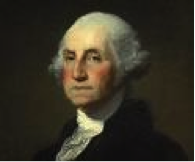 This country used to be governed by men of character and faith, as George Washington’s Thanksgiving Proclamation indicates. May his sentiments continue to be an example for us today. In evidence of a pending global Smart Grid, and the power of these new so-called “sub-national” agreements, heralded by the U.S. Department of State and the White House, San Diego’s Mayor and the San Diego Gas and Electric Company have signed a Memorandum of Understanding with the government of Belgorod in the Russian Federation, for joint cooperation in the development of the Smart Grid. 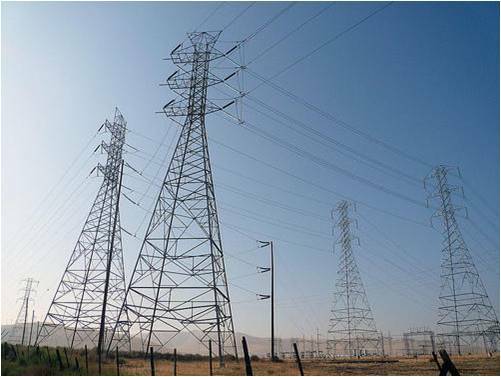 The Smart Grid, an energy-management system of connected distribution systems, transmission lines, smart meters, and real-time monitoring systems, is explained by the Dept. of Energy here (the spin), and by Patrick Wood, editor of The August Review here (the non-spin): researcher Vicky Davis of Channeling Reality has information here. “This Memorandum of Understanding (“Memorandum”) is entered into this 24 day of May 2011 by and between Interregional Distribution Grid Company of Centre, JSC (IDGC of Centre), a corporation and existing under the law of the Russian Federation, the Government of Belgorod Region and San Diego Gas & Electric Company, a corporation organized and existing under the laws of the State of California (“SDG&E”) and the Office of the Mayor of the City of San Diego, California (collectively, the “Parties” and each individually, a “Party”). And so on through 5 pages of items of cooperation and collaboration. Anyone remember SALT I and II? Wonder if the folks of San Diego know what their Mayor has agreed to? Mayor Sanders email is JerrySanders@sandiego.gov and his phone number is 619-236-6330. Might want to give him a call. OK-SAFE, Inc. was created in late 2006 by 13 concerned Oklahomans with the express purpose of stopping the Trans-Texas Corridor coming into the state of Oklahoma. Since then, we’ve both expanded our efforts and fine-tuned them to address specific issues such as objecting to the collection of personal biometric information, the growing surveillance society, and the continued expansion of the reach and scope of state government. Networking with other grassroots groups, we’ve learned from the bottom up how to research an issue, how the legislative process works, how to lobby, and how to read and track legislation. We educate others on how to do the same. Seekers of the truth, we’ve also learned how to discern political doublespeak. We’ve come to understand that the legislative process in Oklahoma has been corrupted not only through perversion of words, but by special interests. The process is agenda-driven. Only certain types of bills get a hearing and are allowed to advance through the legislative process. Other bills, although sound in principle and policy, are either ignored or introduced to pacify constituents, their author knowing full well the bill will go nowhere. Bad language, stopped one year, is slipped into a different bill later on, or held for a new, unsuspecting legislator to run. Legislators ignore the people’s concerns and pass liberty-killing legislation anyway, pooh-poohing their research and warnings. They add “claw back provisions” as false comfort to prevent abuse of some newly created give-away scheme, directing taxpayers money to most-favored businesses. Apparently this pattern of abuse has been noted elsewhere – listed below are Twelve Truths About Legislation from Freedom Keys. Any law the electorate sees as being open to being perverted from its original intent will be perverted in a manner that exceeds the manner of perversion seen at the time. Any law that is so difficult to pass it requires the citizens be assured it will not be a stepping stone to worse laws will in fact be a stepping stone to worse laws. Any law that requires the citizens be assured the law does not mean what the citizens fear, means exactly what the citizens fear. Any law passed in a good cause will be interpreted to apply to causes against the wishes of the people. Any law enacted to help any one group will be applied to harm people not in that group. Everything the government says will never happen will happen. What the government says it could not foresee the government planned for. When there is a budget shortfall to cover non-essential government services the citizen will be given the choice between higher taxes or the loss of essential government services. Should the citizens mount a successful effort to stop a piece of legislation, the same legislation will be passed under a different name. All deprivations of freedom and choice will be increased rather than reversed. Any government that has to build safeguards into a law so that it will not be abused is providing guidelines for abusing the law without violating it. Any legislator up for re-election will vote against a bad law if and only if there are enough other votes to pass it. Whoever wrote this list must have been watching what happens in the Oklahoma legislature. We can only conclude with these words – Never believe a politician. Homeschooling is a right enjoyed by parents and students alike, and one which has produced better results than the government-run institutions. One Oklahoma legislator wants to change that. 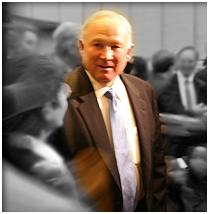 State Senator Jim Wilson (D-SD 3) has authored SB 393 and SB 394, both targeting one of the least regulated and most successful institutions in Oklahoma – the homeschool community. Both of these bills interfer with the rights and responsibilities of the parent, place an unwarranted burden on families, and expand government intrusion into the lives of its citizens. Tell Senator Wilson to withdraw both of these bad bills from consideration. UPDATE: 2011 Oklahoma Legislature Files 2229 – Bills. Now it’s 2234! Sure glad the Republican led Oklahoma legislature is serious about “smaller, smarter government”. Between the OK House and Senate 2229 2234 (five more bills introduced since this post was initially published) bills have been filed: 1217 by the House, and 1012 by the Senate. The deadline for filing was Thursday, January 20, 2011 and apparently all 101 House members and 48 Senators made the deadline. A preliminary glance does not reveal many repealer bills. Too bad for us. The 2011 Oklahoma Legislative session begins on Monday, February 7, 2011. Shell bills are those bills with a bill number and author, a brief description and little else. These are waiting for language to be added later. Look for all bills creating NEW LAW. Then read the amendatory language bills. Pay particular attention to Title 47 Motor Vehicles, Title 62 Public Finance, Title 68 Revenue and Taxation, and Title 74 State Government. Then call your elected official and start asking questions about those specific bills. Oklahoma Legislature website: www.lsb.state.ok.us/ Click Text of Measures to find the introduced House and Senate bills. Read those bills; make those calls. Let’s make 2011 the year of Citizen Involvement in the Legislative Process. Marketing 101: Nothing happens until something is sold. A lot of marketing in hopes of selling occurred during the 2010 election cycle in Oklahoma. That marketing involved plenty of speeches using positive, desirable, familiar words and catch-phrases, and ideas folks could rally around and embrace. People bought those words and ideas. Upon hearing a familiar word or phrase, most folks assume that a specific word or phrase means what it means in the general sense; that it means what they understand it to mean. For instance, most folks assume that “securing the border” means protecting and defending our country’s borders against invasion; it implies the federal government is limiting access, putting up a fence, etc. Securing the border doesn’t actually mean putting up a fence or stopping the invasion of our country at the border. “Securing our border” is political doublespeak. Politicians, much like products at the store, are packaged, marketed and sold during an election. This marketing includes the use of specific talking points during speeches, easy sound bites, and repeated TV commercials professionally produced by expensive advertising companies. This marketing includes the use of appealing, hopeful, familiar words and phrases during a campaign. The public assumes the meaning of the words and phrases (the political doublespeak), believes the marketing, and buys the product by casting a vote for that politician. Noted below are a few words and phrases heard during the recent political campaigns in Oklahoma; their assumed meaning; and the political reality. Political reality demands “Buyer Beware”. Government needs to be run more like a business Government operating in an orderly manner, not wasting taxpayers’ money, while still operating within its’ proper authority and respecting the God-given rights of the individual; operates as a sovereign entity with a constitution, with separate but equal Executive, Legislative, and Judicial branches.Gov’t. does not function as a business. Government operates from a business plan, focusing on revenue generation, cost savings, and efficiencies. Functions of government are viewed as services; services to the public are considered a business process & commoditized. May lead to outsourcing government services referred to as “business processes” to “eliminate waste, create efficiencies, and reduce fragmentation.”Citizens viewed as an asset or liability; are charged for using services. The case OK-SAFE has been building and advancing for three years has finally made it to the mainstream media – the government is monitoring the American people. State and Federal Representatives have steadfastly scoffed at the idea. A Washington Post article entitled Monitoring America offers a window into the deceptive nature of our government. “Nine years after the terrorist attacks of 2001, the United States is assembling a vast domestic intelligence apparatus to collect information about Americans, using the FBI, local police, state homeland security offices and military criminal investigators. The system, by far the largest and most technologically sophisticated in the nation’s history, collects, stores and analyzes information about thousands of U.S. citizens and residents, many of whom have not been accused of any wrongdoing. Although the move toward integration of the entire justice system started years ago, fusion centers – doing away with barriers to information-sharing between the federal, state, local, and tribal levels – are greasing the wheels. More than 72 of the data-hubs exist in the U.S. and countless others are in operation globally. And they’re networked together. Included in this global data collection network is SARS (Suspicious Activity Reporting System); the Eyes and Ears programs; and the “If You See Something, Say Something” effort advocated by the DHS Secretary Janet Napolitano. State incidents – both criminal and non-criminal – are instantly shared with the FBI, upon request. Associations advancing the global integration of justice systems, law enforcement, and the private sector include the IACP (International Association of Chiefs of Police), IALEIA (International Association of Law Enforcement Intelligence Analysts), and InfraGard, (partnership between the FBI and the private sector). Sadly, it is evident that law enforcement has changed dramatically since 9/11. Today, the greatest threat to personal liberty and real security is the government and its’ militarized local law enforcement agencies. Assuming that you, like most folks, are a law-abiding citizen, to the best of your ability minimize your interaction with any law enforcement entity. Don’t be a snitch. Neighbors should not report neighbors except in the most extreme cases; if you must report something use common sense, i.e. report the Muslim extremist carrying a rocket launcher on his shoulder, or the TSA agent touching your private parts, not your neighbors displaying the pro-life decals or third-party candidates bumper stickers. Address personal family issues within the family, or within your church; only seek another non-profit entity or a public agency as a last resort. Government and law enforcement have changed dramatically…and not for the better. Be wise about your activities and protect yourself as best you can. Gov’t blocking open records requests? This is a perfect example of the problem with MOUs (Memorandum of Understanding) and other information sharing agreements public (government) agencies have with other public (government) agencies and with the private sector – a shut-off of open record requests and an end to transparency in government. The Center for Investigative Reporting sought to examine documents from fusion centers in both Denver and St. Paul to better understand what roles they played in the security preparations for last year’s Democratic and Republican national conventions. But authorities in Colorado refused a public-records request sent by CIR. This lack of transparency should be another argument against increasing public/private partnerships and the expansion of MOUs (and more Non-Disclosure Agreements) under which public functions operate.